Here’s the story: A group of policemen, law officials, and soldiers set out onto the Anatolian steppes in Turkey in search of a dead body. Now, if you’ve read that sentence and thought ‘You know, they’re going to need at least three hours to really do that premise justice”, I’ve got some good news for you. And so even though I may be betraying my western storytelling sensibilities by saying so, the fact is that the only thing wrong with Once Upon A Time In Anatolia is that it’s too long. By at least an hour. It’s not that Once Upon A Time In Anatolia isn’t watchable. Very watchable in fact. It’s beautiful to look at, and but it’s Ceylan’s gift for dialogue which is the real star of this film. His characters are about as well-rounded as you’re going to get at the cinema these days, and I really felt as if Ceylan captured the banal reality of modern-day police work. It’s a good, creepy, drama. But it’s almost three hours long. Now, if you need that to tell your story, then you need it. But Ceylan doesn’t. There really isn’t much of a story here anyways, just a collection of related groups of dialogue that revolve around one loose plot point. And so he pads his film with looooong tracking shots of the Anatolian countryside, and with loooooong scenes that feature angry Turkish men staring furtively through windows, and with looooooong scenes that essentially repeat other looooong scenes that we’ve already seen and been bored by. Now, this review might actually say more about me and my impatience than it does about the film. This movie really does have a lot going for it. But if you’re going to give it a shot, let me recommend two words that may make your experience a little more comfortable: Aisle Seat. 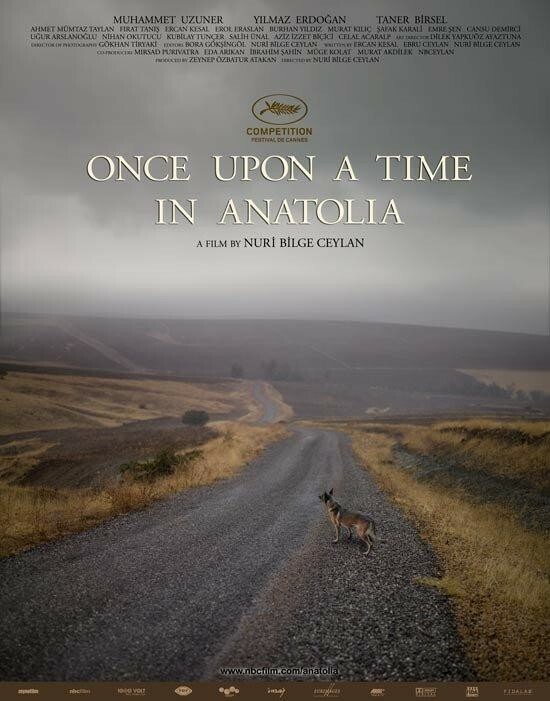 This entry was posted in Movies and tagged Movies, Once Upon A Time In Anatolia, VIFF. Bookmark the permalink.